DESCRIPTION Boasting beautiful countryside views and deceptively spacious accommodation this property simply must be viewed to be appreciated fully! The property is located with the small village of Norton Malreward and offers superb travel links to the nearby cities of Bristol, Bath and Wells whilst still offering a beautiful countryside location. The property itself comprises a light and airy accommodation that adopts a traditional layout throughout. 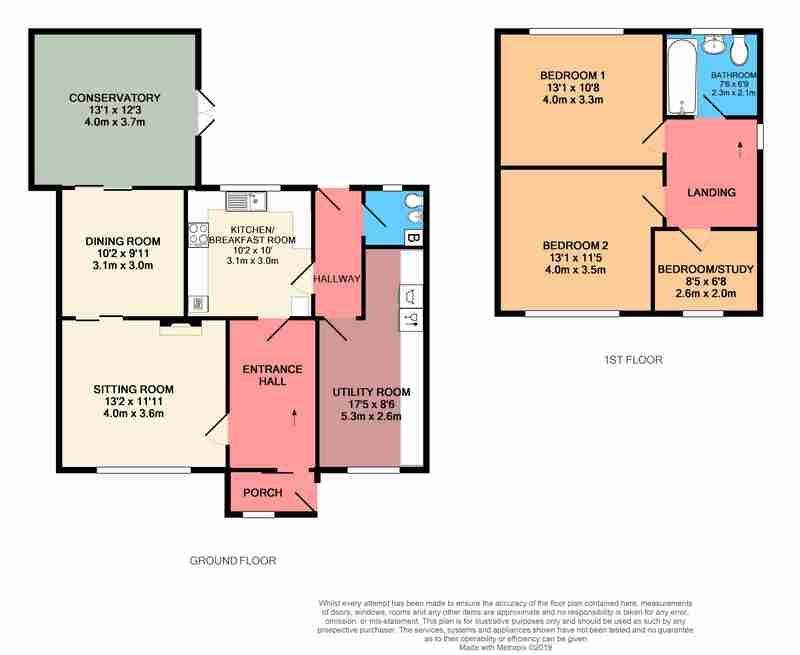 The downstairs features a good sized sitting room with feature fireplace, a dining room which is also of a generous size, well appointed kitchen, separate large utility room and useful WC. The stand out room of the ground floor is the large, west facing, conservatory which overlooks and leads to the garden. The first floor is equally as good! The master bedroom is of a very good size and takes advantage of the stunning views. There are two further bedrooms on the first floor. All the bedrooms are serviced by a well presented family bathroom. The back garden is accessed from the backdoor or from the conservatory, and is mainly laid to lawn and are very private! The property also benefits from a lawned area to the front, a detached garage and off street parking. SITUATION Norton Malreward is a small Somerset village set within the Chew Valley just a few miles from the edge of Bristol and a short commute from Bath. The village is within close proximity to Chew Magna and the beautiful Valley lakes offering sailing, fishing, bird watching and wonderful countryside walks. Chew Magna has an awful lot to offer, including good pubs, a post office, a small supermarket, a café, gift shops and hairdressers. There are a number of excellent schools within the area with primary schools at Stanton Drew, Chew Magna and Pensford, and you are in the ever popular Chew Valley secondary school catchment area.